The EU lands Google with another fine—but will Google change? The EU gets it when it comes to fines. Rather than the paltry US$17 million certain US states’ attorneys-general stung Google with some years ago for hacking Iphones, they’ve now fined the search engine giant €4,340 million, on top of its earlier fine of €2,420 million over anticompetitive behaviour. That US$17 million, I mentioned at the time, amounted to a few hours’ income at Google. As the EU’s competition commissioner Margrethe Vestager noted on Twitter, ‘Fine of €4,34 bn to @Google for 3 types of illegal restrictions on the use of Android. In this way it has cemented the dominance of its search engine. Denying rivals a chance to innovate and compete on the merits. It’s illegal under EU antitrust rules. @Google now has to stop it’. Google forces manufacturers to preinstall Chrome if they want to install Google Play. The EU also notes that virtually all Android devices have Google Search preinstalled, and most users never download competing apps, furthering Google’s dominance of search. Google pays manufacturers and cellphone networks to preinstall the Google search app on their phones, and prevented manufacturers from installing Google apps if their versions of Android were not approved by Google. Up until just last year, it was impossible to add DuckDuckGo to Chrome on Android, and it is still impossible on Chrome on iOS. We are also not included in the default list of search options like we are in Safari, even though we are among the top search engines in many countries. That’s consumer confusion on top of restrictive contracts that promote market dominance and anti-competitive behaviour. This is a very petty company, one that shut down Vivaldi’s Adwords account after its CEO gave some interviews about privacy. Of course I’m biased, and I make no apology for it—and anyone who has followed my journey on this blog from being a Google fan to a Google-sceptic over the last decade and a half will know just how Google’s own misleading and deceptive conduct helped changed my mind. Google’s argument, that many Android manufacturers installed rival apps, clearly fell on deaf ears, and understandably so. While I’m sure Android experts can think up examples, as a regular person who occasionally looks at phones, even those ones with rival apps still ship with the Google ones. In other words, there’s simply more bloat. I’ve yet to see one in this country ship without a Chrome default and Google Play installed, often in such a way that you can’t delete it, and Google Services, without getting your phone rooted. The impact of any changes mandated by the EU decision on Google’s ability to target ads to users—and to its profitability—is an open question. The two apps targeted in the EU decision, Google’s search and its Chrome browser, are extremely popular in their own right. Consumers are likely to seek them out from an app store even if they weren’t preinstalled on the phone, said Tarun Pathak, an analyst at research firm Counterpoint. I just don’t believe they would, and I made it a point to get a phone that would, happily, have neither. By buying a Chinese Android phone, I escape Google’s tracking; by seeking out the Firefox browser, I get to surf the way I want. That choice is going to create competition, something that Google is worried about. The Wall Street Journal also states that despite the earlier fine, Google’s shopping rivals said little or nothing has actually happened. With all of Google’s misdeeds uncovered on this blog over the years, I’m really not surprised. The EU is, at the very least, forcing some to examine just how intrusive Google is. It might soon discover how uncooperative Google can be. Beyond all that had gone on with AIQ and Cambridge Analytica, a lot more has come out about Facebook’s practices, things that I always suspected they do, for why else would they collect data on you even after you opted out? Now, Sam Biddle at The Intercept has written a piece that demonstrates that whatever Cambridge Analytica did, Facebook itself does far, far more, and not just to 87 million people, but all of its users (that’s either 2,000 million if you believe Facebook’s figures, or around half that if you believe my theories), using its FBLearner Flow program. … Cambridge Analytica begins to resemble Facebook’s smaller, less ambitious sibling. As I’ve said many times, I’ve no problem with Facebook making money, or even using AI for that matter, as long as it does so honestly, and I would hope that people would take as a given that we expect that it does so ethically. If a user (like me) has opted out of ad preferences because I took the time many years ago to check my settings, and return to the page regularly to make sure Facebook hasn’t altered them (as it often does), then I expect them to be respected (my investigations show that they aren’t). Sure, show me ads to pay the bills, but not ones that are tied to preferences that you collect that I gave you no permission to collect. As far as I know, the ad networks we work with respect these rules if readers had opted out at aboutads.info and the EU equivalent. Regulating Facebook mightn’t be that bad an idea if there’s no punishment to these guys essentially breaking basic consumer laws (as I know them to be here) as well as the codes of conduct they sign up to with industry bodies in their country. As I said of Google in 2011: if the other 60-plus members of the Network Advertising Initiative can create cookies that respect the rules, why can’t Google? Here we are again, except the main player breaking the rules is Facebook, and the data they have on us is far more precise than some Google cookies. Coming back to Biddle’s story, he sums up the company as a ‘data wholesaler, period.’ The 29,000 criteria per user claim is very easy to believe for those of us who have popped into Facebook ad preferences and found thousands of items collected about us, even after opting out. We also know that the Facebook data download shows an entirely different set of preferences, which means either the ad preference page is lying or the download is lying. In either case, those preferences are being used, manipulated and sold. Eshoo: It was. Are you willing to change your business model in the interest of protecting individual privacy? Eshoo: No, are you willing to change your business model in the interest of protecting individual privacy? Zuckerberg: Congresswoman, I’m not sure what that means. In other words, they want to preserve their business model and keep things exactly as they are, even if they are probably in violation of a 2011 US FTC decree. The BBC World Service News had carried the hearings but, as far as I know, little made it on to the nightly TV here. This is either down to the natural news cycle: when Christopher Wylie blew the whistle on Cambridge Analytica in The Observer, it was major news, and subsequent follow-ups haven’t piqued the news editors’ interest in the same way. Or, the media were only outraged as it connected to Trump and Brexit, and now that we know it’s exponentially more widespread, it doesn’t matter as much. There’s still hope that the social network can be a force for good, if Zuckerberg and co. are actually sincere about it. If Facebook has this technology, why employ it for evil? That may sound a naïve question, but if you genuinely were there to better humankind (and not rate your female Harvard classmates on their looks) and you were sitting on a motherlode of user data, wouldn’t you ensure that the platform were used to create greater harmony between people rather than sow discord and spur murder? Wouldn’t you refrain from bragging that you have the ability to influence elections? The fact that Facebook doesn’t, and continues to see us as units to be milked in the matrix, should worry us a great deal more than an 87 million-user data breach. I’ve had a phone call and a lot of comments on this in the last couple of days: my Dad, who is 81 with early-stage Alzheimer’s, called the US presidential election for Donald Trump months ago. I posted it on my social networks the day he made his definitive call, and friends remembered it. Thank you for all your compliments. Go back to 2015, he had called the Republican primary for Trump. I wasn’t as confident but I had Tweeted the week before the election that polls were understating Trump’s actual support by at least 6 per cent. In 2008, when everyone had dismissed Gov. Sarah Palin, he said that she wasn’t going to go away, and that she’d command an even greater influence in the first Obama term. While he predicted an Obama win, again quite early on, he wasn’t optimistic and didn’t think there would be great change in the US. You may or may not agree with that. Going right back to the 1980s, when I was at college, and before China showed any signs of opening up, he made the call about its economic rise, and that I would be assured, by the time I was in my 30s and 40s, that many would want to deal with the country. It would be, I remember him telling me, a career advantage to being Chinese—in contrast to the racism we encountered far more frequently back then. Even in the elections I contested (and he encouraged me to run), while he refused to be drawn on what he thought my chances were, he was unequivocally clear that my rival, John Morrison, wouldn’t win, in 2013. Dad certainly did better than some so-called political experts I can name. And if you want to get really spooky, during the Martin Bashir interview of Princess Diana, he said that by the time she was 37, she’d have a ‘really bad year’. He didn’t say she’d die. No, he’s not a Mystic Meg of any sort. He’s a guy who’s been around for a while and kept his eyes open. If you want to know his secret, I can tell you that his political projections are based in part around reading. Not mainstream media, but websites that he’s discovered over the years himself. He’s a keen web surfer and loves his news. He doesn’t put that much stock in political “experts”, and after having run myself, I can fully understand why. He’d even take in the viewpoints on Russia Today, which gives you an idea of how varied his reading was. Just today I caught him watching an address from Edward Snowden. With Palin, it was probably the sudden rise of her fan sites set up by US conservatives. He hadn’t seen such a rapid rise of sites that soon galvanized their support around the former Alaskan governor before. While mainstream media dismissed her and gave the impression that post-2008, she wouldn’t matter, Dad had entirely the opposite reading. Politically centrist, and, like me, a swing voter, he kept following the sites out of interest, and saw how they morphed into the Tea Party movement. He also knew they wouldn’t go away any time soon, and observed that there was a Palin effect, as the likes of Ted Cruz soon found out when contesting their Senate seats. And, despite my own criticisms of this practice, Dad would read the comments. Sometimes he would wade through hundreds of them, to get a sense of what people were thinking. It was his reading of media from left and right during the latest US presidential election that saw him made his calls very assertively. Rather than dismiss certain conservatives as ill-educated, as some media might, Dad treated them as human beings. He knew they would galvanize and get behind Trump. When you’ve lived through a world war (including an occupation) and then a civil war, and saw your family start from the bottom again after 1949, you get to be good at knowing what people go through. He’s always been politically switched on, and had a keen interest in history and economics, the latter of which he studied at a tertiary level. But he’d always explain to me that it came down to people and their behaviour, and never rational decision-making. I might have only lived just over half his lifetime so far, but I find little fault in that statement. All new movements have plenty of power, till they become the establishment. His thoughts on China in the 1980s could well have stemmed from that: I never asked him, and aphasia means he’d now find difficulty telling me anyway. Sadly for the US, he finds appeal in the theory that the nation will break up, though he hasn’t quite yet made the call in the same way he made the one for the Trump presidency. But as with his Trump prediction, I’m publishing this one online. He’s never stated it as succinctly but he has, in passing in the 1980s and 1990s, said that the British Empire wouldn’t last much longer beyond our current monarch’s reign. You never know, we might be coming back to this post in a few years’ time. These are gloomy scenarios but I’d rather put Dad’s ideas out there now, as I did with the Trump presidency, rather than tell you ex post facto how clever he was. The lesson: treat people as people, and it’s amazing how much that will reveal. I remember when Michael Wolff was very bullish about the internet in the 1990s, so when he starts sounding warning bells, we had better take heed. The way Michael paints Facebook—and a belief that its advertising model will eventually collapse for being so limited—is not unfamiliar to anyone who ever wondered, during the dot-com boom, just why those companies were worth that much. If AltaVista, the world’s biggest website, could fall once someone (Google) figured out a better search model, then Facebook, with what Michael thinks is an ill-defined purpose, could suffer a similar fate. At the heart of the Internet business is one of the great business fallacies of our time: that the Web, with all its targeting abilities, can be a more efficient, and hence more profitable, advertising medium than traditional media. Facebook, with its 900 million users, valuation of around $100 billion, and the bulk of its business in traditional display advertising, is now at the heart of the heart of the fallacy. The daily and stubborn reality for everybody building businesses on the strength of Web advertising is that the value of digital ads decreases every quarter, a consequence of their simultaneous ineffectiveness and efficiency. The nature of people’s behavior on the Web and of how they interact with advertising, as well as the character of those ads themselves and their inability to command real attention, has meant a marked decline in advertising’s impact. Consequently, Facebook will face ever-decreasing advertising prices as it plateaus, and it will need to either reinvent itself or define itself more properly; or, possibly, even define itself more narrowly. Doc makes some further points in his piece, saying that advertising that is so personal might actually be unwanted. And he’s right. It all points to how brands need to engage, and that the shape of advertising, just as with branding, has changed markedly in the last 30 years. Whereas brands were top–down, they are now informed more by audiences, and strategies adjusted to match. Advertising is the same: personalization can’t work because it’s still a top–down process that disengages audiences. Facebookers have already taken exception to their own faces being used on advertisements within the social network, so personalization based on friends’ uptakes of a brand isn’t welcome by all, either, for the same reason: there was no engagement. An inhuman algorithm drove that, and one that didn’t necessarily have the consent of the parties involved. And even if advertising were still top–down, for people who advertise using the service, how many truly know what their target audiences are, to that professional degree? Based on this, Facebook’s contribution to advertising is providing the platform for engagement, and letting advertisers discover who their target audiences are, to set the stage for greater understanding. It’s letting go of the idea of the hard sell, one that doesn’t really build brand equity anyway. Fan pages have been helpful, based on the ones I have run, but Facebook erred earlier this year by putting member comments into a box, whereas they should have equal prominence with official company updates. Minimizing the audience’s importance in favour of top–down pronouncements goes against the way branding and marketing have developed, and the way advertising is evolving. If Facebook sees itself as a means of creating top–down marketing because of its sheer scale, then it is a step behind the game—and it’s a means to nowhere. Facebook is a huge success. You can’t argue with 750 million users and growing. And I don’t see Google+ making a big dent in that. What I see instead is more properly the fading of the entire social media category, the victim of an ever-shortening event horizon. Each era of computing seems to run for about a decade of total dominance by a given platform. Mainframes (1960–1970), minicomputers (1970–1980), character-based PCs (1980–1990), graphical PCs (1990–2000), notebooks (2000–2010), smart phones and tablets (2010–2020?). We could look at this in different ways like how these devices are connected but I don’t think it would make a huge difference. Now look at the dominant players in each succession—IBM (1960–1985), DEC (1965–1980), Microsoft (1987–2003), Google (2000–2010), Facebook (2007–?). That’s 25 years, 15 years, 15 years, 10 years, and how long will Facebook reign supreme? Not 15 years and I don’t think even 10. I give Facebook seven years or until 2014 to peak. I’ve said it for a while based on the opaque corporate culture at the company and its apparent disregard for privacy (the opposite to what it was like in 2006). Arrogant cultures like that don’t last long. I’ve similarly said nothing is forever, with Altavista as my example. It’s likely that the social phenomenon passes, not because it is invalid, but because most occidentals will have found their tribe of 150 and interact with it. Or, an economic change or a collaboration tool brings people into connection with others that sees their daily routines change. Facebook’s culture will likely give it seven years as it will deem itself invincible and fail to adopt to shifting consumer needs. The agreements allow for the return of Mr Vladimir Antonov as a shareholder–ﬁnancier of SWAN and Saab Automobile which the parties expect as soon as the parties at interest have cleared him. The NPJV will be 50 per cent owned by Saab Automobile and 50 per cent by Youngman Passenger Car, and forms the foundation for an expansion of the Saab product portfolio with three models which, until now, did not form part of Saab Automobile’s current and future product portfolio. 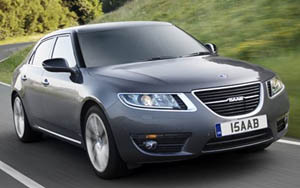 As such the NPJV will focus on developing three completely new Saab vehicles: the Saab 9-1, Saab 9-6X and Saab 9-7. No doubt there will be existing technology in the three cars, and they should go down terriﬁcally in China. And if it all goes well, this means that Saab won’t follow MG Rover down the gurgler, despite having been unable to pay wages a few weeks ago. But €245 million isn’t that much in today’s world, especially since Saab can’t be breaking even at its present capacity. I don’t want to see Saab disappear. It may have been the choice of TV villains (Leslie Grantham in both The Paradise Club and 99–1 comes to mind) as well as one or two real-life ones I can think of, but it’s a storied brand and it’s made good cars over the years. And a mate of mine has a 900, too. Sweden hasn’t spent all these years bagging the brand, either—it was effectively stripped of its Saab-ness while under General Motors. Let’s hope the company can get things right with the Chinese equity stake, which hopefully will provide more conﬁdence. It’ll open up distribution in China, providing the government agencies agree, where a foreign brand like Saab would go down immensely well, and just at the right time. Good timing was not something that MG Rover was blessed with, regardless of the actions of the Phoenix Four. The discerning Chinese buyer is emerging on the mainland, and they don’t necessarily want the ﬂash of the Mercedes-Benz. A more subtle brand might work there, and Saab actually ﬁts the bill. The 9-7, I assume, is a large car, and Youngman’s Pang Qingnian hints that not only will China get this model, but the US as well. Good luck to the parties on this one—here’s hoping the worst is over. How will Chevrolet go down in Korea? Last week, GM announced it would drop the Daewoo marque, as it has done through Europe, in its native Korea, in favour of Chevrolet. 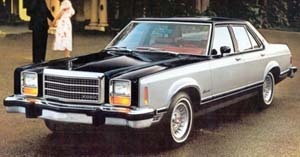 The company will also be renamed GM Korea, a name it once had nearly four decades ago. While most will think this makes sense, so GM can concentrate on unifying its Chevrolet brand globally, I have to play devil’s advocate. We know that GM opted to use Buick as its ﬁrst brand in China in the Communist era because it had generated a lot of goodwill prewar. And it worked: Chinese people, somehow, knew that Buick was a quality brand, even though there were very few cars in China in the 1930s. In the 1990s, 60 years on, Buick sold pretty much everything it made through its joint ventures in China. This might be due to Chinese people valuing history and a sense of brand loyalty in an era where foreign brands were still fairly new in the People’s Republic. What about Korea? Of course, South Korea is no stranger to brands and consumerism, but where does Chevrolet ﬁt? Is it as well placed as Daewoo, which has seen years of ﬁnancial disgrace as a car company? Chevrolet 1700. 1972–8 (prod. 8,105). 4-door sedan, 5-door wagon. F/R, 1698 cm³ (4 cyl. CIH). Holden Torana (LJ), made by Saehan of Korea. Essentially a facsimile of the Australian original, but for an unusual station wagon model that looked more like an Opel at the back. Robust, but a failure on the Korean market, thanks to a perception that it was thirsty (the oil crisis did not help; Korean engines were generally smaller at this point). In theory replaced by facelifted Camina in 1976, though it ran alongside it. Not exactly a success. The supposed successor, the Camina, sold even fewer, despite having a smaller engine. If Koreans had the same conditions as the Chinese, then this one model sold as a Chevrolet in Korea will instil negative brand associations in the Korean market. Daewoo hasn’t exactly had the history of Buick. It emerged as a car marque only in the 1980s, taking over from Saehan, so it may well be disposable. It’s also not like Datsun of Japan, which had plenty of years established worldwide. Nor is it like other storied GM brands such as Vauxhall and Holden, which are restricted to one country or one region. Koreans have also seen major brands such as Goldstar, or Lucky–Goldstar, become the much simpler LG. Walk around Seoul and you see plenty of KFCs and Pizza Huts. But there’s still a part of me that says a nation that has very few expatriates might just prefer their locally made cars to have local brands. Koreans have a perception that foreign brands invite the tax authorities to investigate you, which is why so few people buy non-Korean cars there. So how will Korean-made and Korean-developed, but foreign-badged, cars go down there? 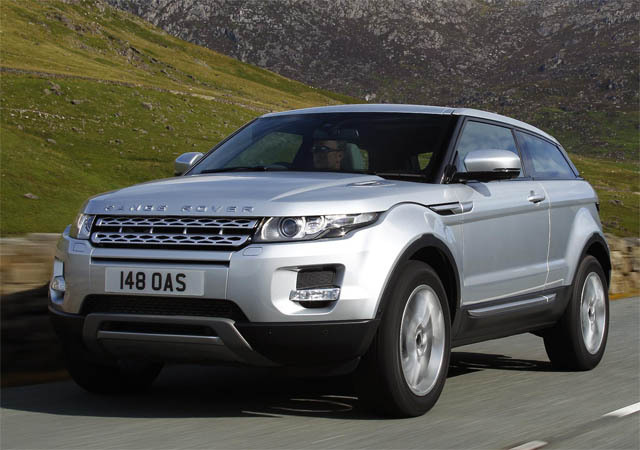 It hasn’t been done with rival brands Hyundai, Kia, Ssangyong or Samsung, the latter two having foreign owners. GM will have to be careful how Chevrolet is marketed, to ensure that it’s perceived, at least in Korea, as a Korean brand that just happens to have an American home and a French pronunciation. Because if there’s one thing branding can do, it’s to make people overlook the actual country of origin in favour of the perceived one. This is why Japanese giants such as Suntory sell fruit juices in New Zealand as Just Juice, Fresh-Up or Bay Harvest—brands with histories in New Zealand—and we do not see Bill Murray on our airwaves getting lost in translation in a commercial. Sure, Daewoo has been owned by GM for years, so every car buff in Korea knows that the name change means nothing. Some of the range—the Alpheon and the Veritas, for instance—hail from China and Australia. But the everyday person in the street might be a bit more comfortable buying a Daewoo Alpheon than a Chevrolet Alpheon—because no one really wants the revenuers sending a letter saying they’re going to be audited. In the Fairfax Press, General Motors has apparently conﬁrmed it will bring in Opel-branded cars to sell alongside Holden-branded ones. It’s an obvious move. For years, a good part of Holden’s range was Opel-designed. 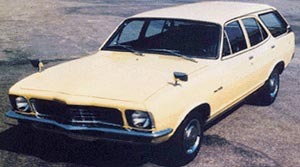 Like Vauxhall, the model name was the same as the Opels on the Continent, but with Holden in front, with the exception of the Opel Corsa (called Holden Barina). In fact, New Zealand ﬁelded the Holden Vectra before Australia introduced this model with the B series. The two markets have often differed—those old enough might remember the Holden-badged version of the Isuzu Aska, assembled locally as the Camira in favour of the Australian model. Australia, which I believe still has tariffs on motor cars, found the Opel-made product increasingly expensive, especially against Hyundai, which has carved huge inroads into the market. In the mid-2000s, the Opels began disappearing in favour of Daewoos. The Opel Corsa C gave way to the inferior Daewoo Kalos. The Opel Vectra C, never facelifted, gave way to the Daewoo Tosca. The Daewoo Lacetti was inserted below the Opel Astra G and H, though the latest Lacetti Première, badged Holden Cruze, has supplanted both the former Lacetti and the Astra. In other words, Holden’s product was outclassed at every level by its principal rival Ford—certainly on this side of the Tasman, where CD-segment vehicles sell particularly well. Maybe Holden had Ford licked on price, but in terms of brand equity, it was falling fast. Perceived quality? Forget it. Brand loyalty? Don’t think it’s going to happen. There is very little that’s desirable about a Daewoo, though I admit to appreciating the Winstorm SUV’s styling. The car as a commodity? That’ll be the Daewoo. The Astra still has a lot of fans in Australia, so the plan is to bring in that model at least—and as affordable, European cars, positioning roughly where Volkswagen is. Corsa, Insignia and others will come in as well, with both a new dealer network and some Holden dealers. The analysts have found that in Europe, Chevrolet (Eurospeak for Daewoo) has not cannibalized Opel sales. No surprises there. Take me: an Opel customer. I wrote to Holden some years ago, when they threatened to bring in the Daewoo Tosca, that there was no way in heck I would get one of their cars. I’m willing to bet that I wasn’t alone in feeling that way, and the fact the Tosca looks like a Seoul taxicab helps my argument. Why not, I said, bring in Opels and pursue a unique model strategy, as GMNZ did in the 1980s and 1990s? The question now is price. Opels were sold here in the 1980s at a premium and found few customers. It was only with the 1989 introduction of the Vectra A, at a reasonable price, that GM began clawing back market share in that segment. New Zealanders didn’t seem to mind whether the car was branded Opel or Holden, but when it did become a Holden in 1994, it made marketing a great deal easier. Fairfax hints that Opels will carry a premium in Australia. But it rightly points out that Ford has European-sourced models that are competitive. However, I can make one thing very clear for New Zealand: if GM decides to reintroduce Opel into this market, where there are no tariffs on cars, it’ll have to be positioned against a lot of the competition from Ford. I have a feeling most Kiwis know they are buying German engineering when they head to the blue oval, with the exception of the Falcon, and Ford’s marketing has said as much. We’ve had a different history from the Australians, and the brand has different connotations. It’s certainly not premium, and there’s very little reason for it to be. Ford might have had Dennis Waterman as Terry McCann singing the Minder “feem toon” do a dealer ad here in New Zealand, but, remember, GM had George Cole, as Arthur Daley, sell the Opel. George Cole is not premium. Mainstream European brands have failed time and again with premium pricing here. Peugeot lost sales when it began having ideas above its station. Renault has consistently got its pricing wrong and missed plenty of opportunities. I have a feeling some of this is due to New Zealanders being world travellers. In a small country, we have to look outward. And that brings us exposure to international brands very readily. We’ve also had plenty of used Japanese imports—including ex-Japan Opel Astra Gs. It may account for why we don’t fall for the fake snobbery that automakers have tried to slap us with for many years. We seem to adopt best practice on so many things because I believe we’re an accepting people. Transparency will be the order of the day. GM can’t afford to have Kiwis reject a brand for having ideas above its station should it go ahead with a similar effort over here. It has to balance (our relatively small) volume carefully with cannibalization. It has to consider whether it would like to have Holden’s brand equity continue to dip. Mind you, we could have avoided all this if in 1992 GM did what I suggested then: badge the whole lot as Opel. * It would have ruined the blokeyness of the Holden brand, but it would have had products that appealed to buyers of B-, C- and CD-segment cars. In 1992, a big Opel Commodore, VP series, wouldn’t have been too bad, would it? And we’d have hopefully avoided this Daewoo experiment that has made ‘Australia’s own’ synonymous with ‘Made in Korea’.